It is that time of the year again everyone! 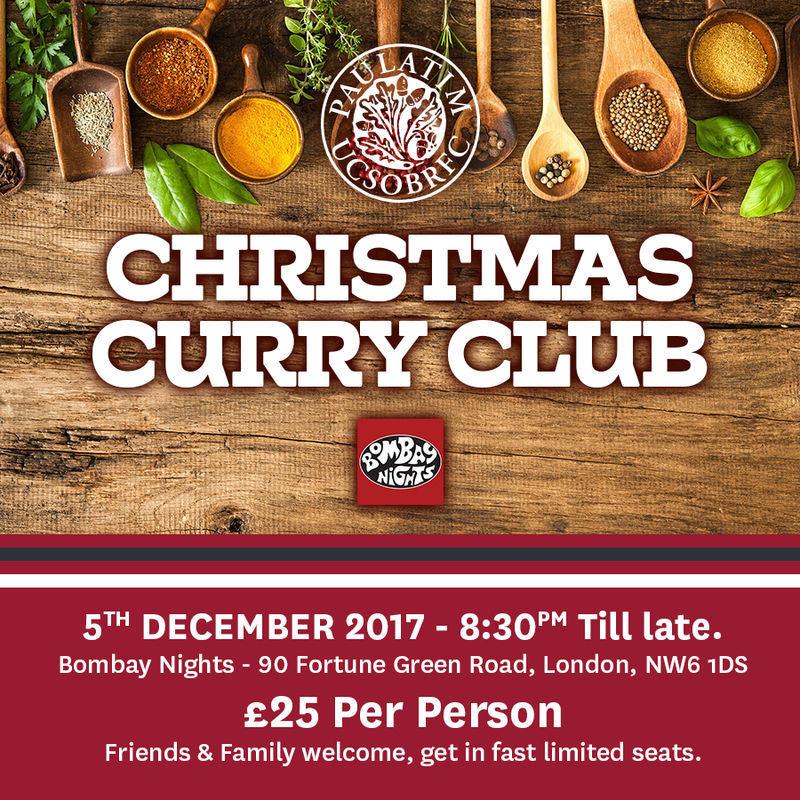 Yes its is CHRISTMAS CURRY CLUB 2017! So save the date for an evening of UCSOB festive spirit – Get Family & Friends involved. BRING WIVES, GIRLFRIENDS, BOYFRIENDS, LOVERS, MISTRESSES, MASTERS, DALLIANCES ETC. No Replies to "‘WORLD FAMOUS’ Christmas Curry Club"